All Ramen Lovers are in for some good news! The Pot-O-Noodles outlet in Koramangala is doing a fabulous job in cooking up lip-smacking ramen bowls and donburi. The restaurant offers Chinese and Japanese cuisine, and what's awesome is that they serve huge portions and yet are reasonably priced. The interiors have been done up beautifully. It's vibrant and colourful. With lovely paintings adorning their walls making it bright and welcoming. 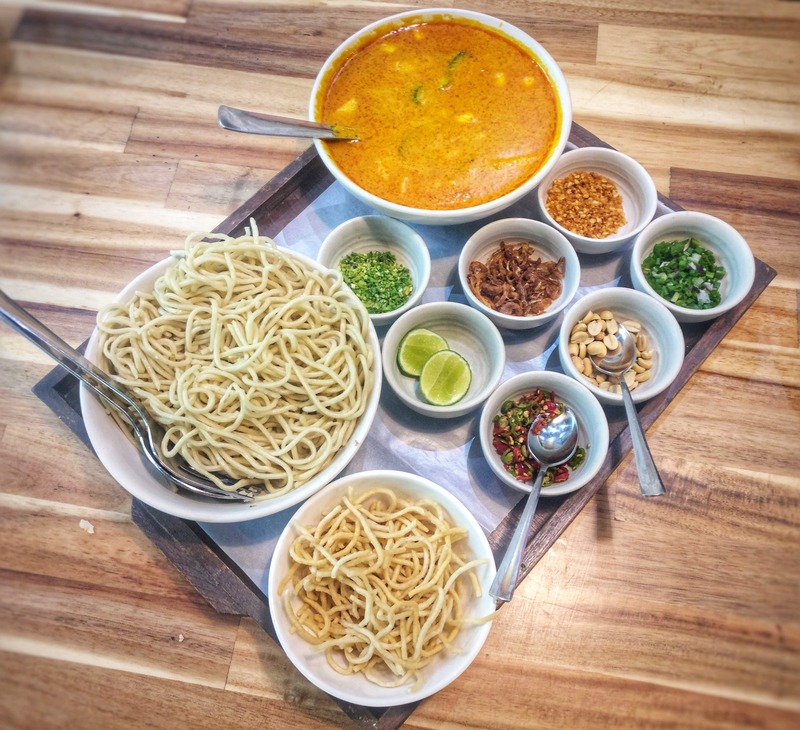 We tried their Tom Kha Soup, Chicken Gyoza, Lumpia Rolls, Chicken Katju, and Burmese Inspired Curried Ramen Khaowsuey! I'd recommend the Katju and Khaowsuey. Go empty stomach to do justice here. Oh! And all the dishes are Instagram-worthy, so don't forget to click before you eat. Hopefully, they add more desserts in the future as there are very few options at the moment.